Discover the real Frederick Douglass in the places that shaped him on a driving tour that starts on the Eastern Shore and takes you through Annapolis and Baltimore. 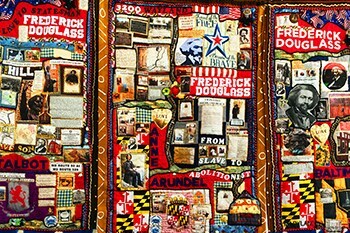 Frederick Douglass’s life would forever be interwoven with his home state of Maryland. That same beautiful place that he loved so deeply, was the place where he was stripped of liberty, ripped from his family, and bound by the literal chains of slavery. 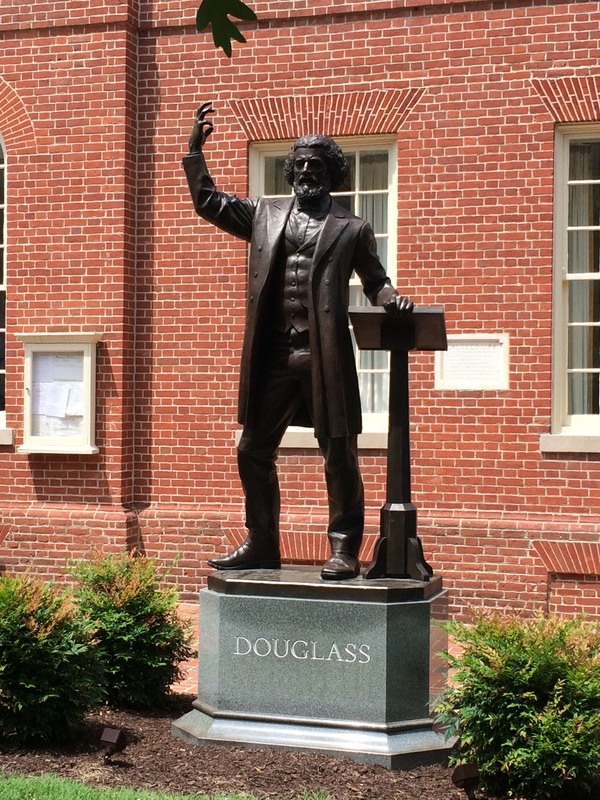 In Fells Point in Baltimore, Douglass cunningly watched other children read and taught himself to do the same, absorbing knowledge to feed his powerful mind. Intellectual curiosity fueled his confidence and determination to find freedom. While his body remained enslaved, young Frederick Douglass became resolved to liberate every enslaved man, woman and child in the nation. Explore Frederick Douglass's story in Maryland through the following tours, events and Douglass biography. Begin your journey on the Eastern Shore at The Frederick Douglass Park on the Tuckahoe near Holme Hill Farm where Frederick Augustus Washington Bailey was born. 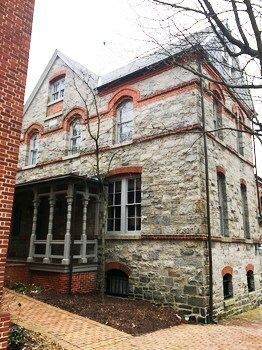 Visit Easton and the former Talbot County Jail where Douglass was once imprisoned after a failed attempt to escape to freedom; and the Frederick Douglass Statue at the Talbot County Courthouse, the site of his famous 1878 “Self-Made Men” speech. 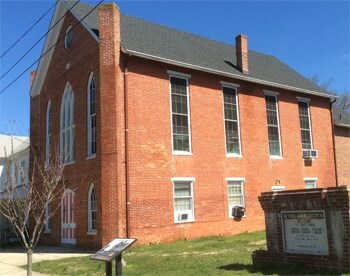 And explore “The Hill,” a historic African-American neighborhood where Douglass spoke at the Bethel A.M.E. Church and Asbury United Methodist Church. 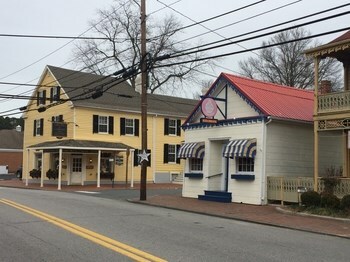 Drive west on MD 33 to the town of St. Michaels. When he was just 15 years old, Douglass started a Sunday school here where he secretly taught enslaved people to read. 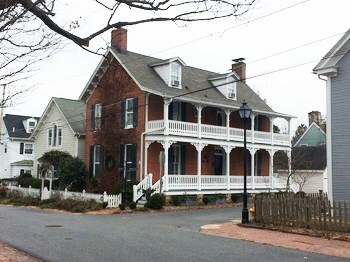 Stay at the Dr. Dodson House Bed and Breakfast, once the home of Louisa Bruff, his former master Thomas Auld’s daughter, and where Douglass was later welcomed as an honored guest. 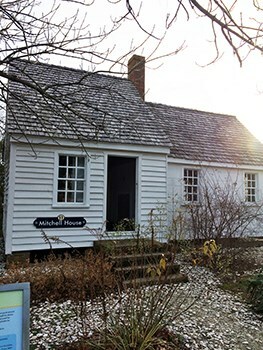 Head to the Chesapeake Bay Maritime Museum where you’ll find the Mitchell House, home of Douglass’s sister Eliza Bailey Mitchell and her family. 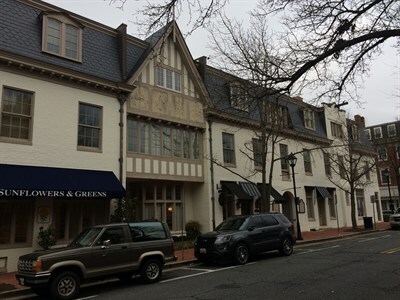 The site provides a view of the lifestyle of middle-class free African Americans in the 19th century. 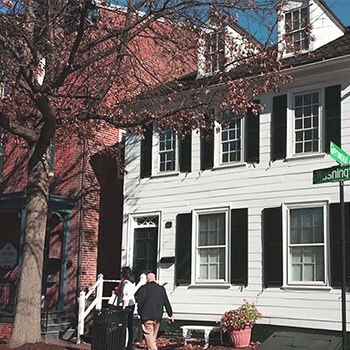 And visit the St. Michaels Museum at St. Mary's Square, which hosts a Frederick Douglass Walking Tour on the second and fourth Saturdays of the month from May through October. Just west of St. Michaels, visit the Inn at Perry Cabin, once home of the Hambleton family who freed their slaves prior to the Civil War and offered free blacks a chance to rent land and build homes. Continue west on MD 33 to Tilghman Island, a maritime village with sweeping scenic views of the Chesapeake Bay. Along the way, you’ll pass the site of the former Covey Farm, where the infamous slave-breaker Edward Covey tried, and failed, to break Douglass’s mighty spirit. 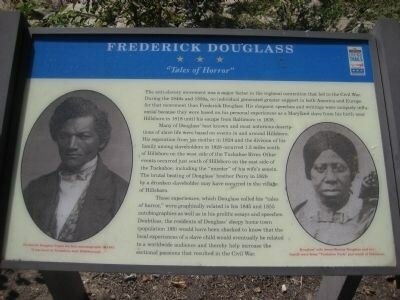 For a detailed listing of driving tour sites, check out the Frederick Douglass Driving Tour Map and Frederick Douglass Driving Tour Itinerary. 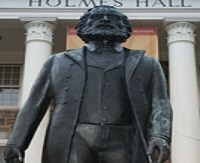 Also see the Frederick Douglass Walking and Driving Tours. 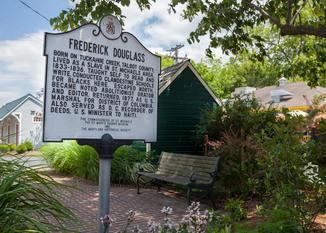 Plan an extended weekend to relax and take in the Frederick Douglass Driving tour. Spend a night in Easton or St. Michaels, see Annapolis and Baltimore the next day and on your third day, head to the Washington, D.C. area for the Frederick Douglass National Historic Site and the National Museum of African-American History and Culture. 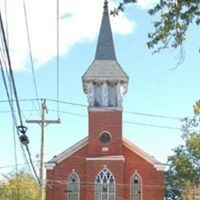 Frederick Douglass Park – St. Michaels. 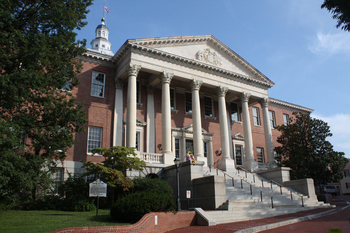 Tour the Maryland State House to see the painting of Gen. George Washington resigning his commission. In June of 1874, Douglass recited Washington’s resignation speech from memory in the Senate Chamber, lending it all of his exceptional oratorical power. Experience Frederick Douglass’s remarkable legacy at the nearby Banneker-Douglass Museum, Maryland’s repository of African-American history and culture, in the former Mount Moriah African-American Methodist Episcopal Church. 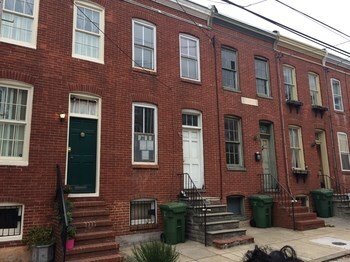 Walk the streets of the Fells Point National Historic District. Now home to boutiques, galleries, restaurants, and pubs, Fells Point was a bustling port when Douglass was sent to live here as a boy of just 8 years. 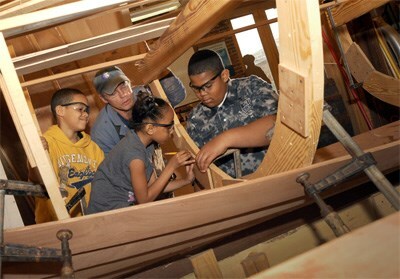 Visit Frederick Douglass-Isaac Myers Maritime Park, which chronicles the saga of Frederick Douglass’s life in Baltimore, where he taught himself to read, developed a trade as a ship caulker, met his wife, and eventually escaped to freedom. Explore Douglass Row, where in 1892, he constructed five brick rowhomes as rental properties for African Americans. 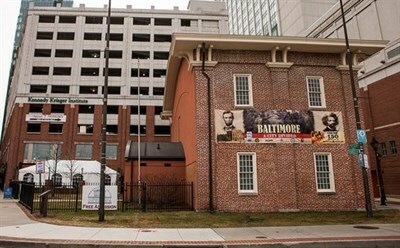 Visit the nearby President Street Station, which now houses the Baltimore Civil War Museum. Here is where Douglass escaped slavery in 1838 at age twenty by disguising himself and boarding a train heading to Philadelphia. Just up the street, you’ll find the Reginald F. Lewis Museum of Maryland African American History and Culture. Nearby, experience the National Great Blacks in Wax Museum with 100 life-size wax figures, and see the Frederick Douglass Statue at Morgan State University. 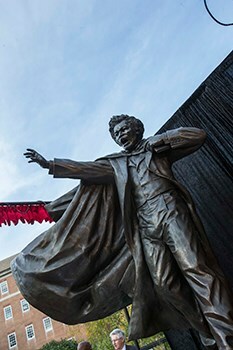 Start your visit at the University of Maryland College Park’s Frederick Douglass Square and Statue and the Hornbake Library, home to the "Frederick Douglass: Scholarship and Legacy" exhibit. A short drive away, tour the Frederick Douglass National Historic Site and travel to the National Museum of African American History and Culture. Visitors are encouraged to share their “Year of Frederick Douglass” on social media using the hashtag #FrederickDouglass. 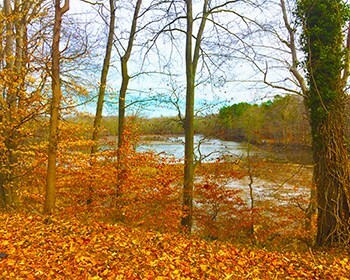 To immerse yourself in the landscape of Frederick Douglass’s birth, go to Tuckahoe State Park and rent a canoe or kayak to paddle the Tuckahoe Creek, a flooded woodland. Kayakers explore the upper reaches of Tuckahoe Creek, a tributary of the Choptank River. Frederick Douglass’s given name at birth was Frederick Augustus Washington Bailey. He changed his name to Frederick Douglass after he escaped in 1838 to disguise himself and prevent capture. Frederick Douglass-Isaac Myers Maritime Park is an educational and national heritage site that highlights African-American maritime history.